Every year scammers defraud our communities of hundreds of millions of dollars. Sometimes they pretend to offer a great deal, sometimes they prey on our sympathy, and sometimes they try to scare us into giving them money. If we know about these tricks, we can avoid falling into their traps. 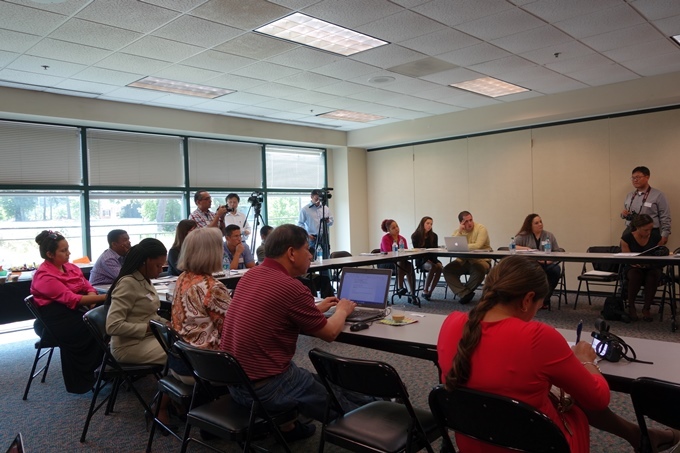 New American Media (NAM) therefore organized a briefing at the Latin American Association on Buford Highway on May 20, 2015 with representatives from government offices, law enforcement, and community advocacy organizations with expertise about these crimes. 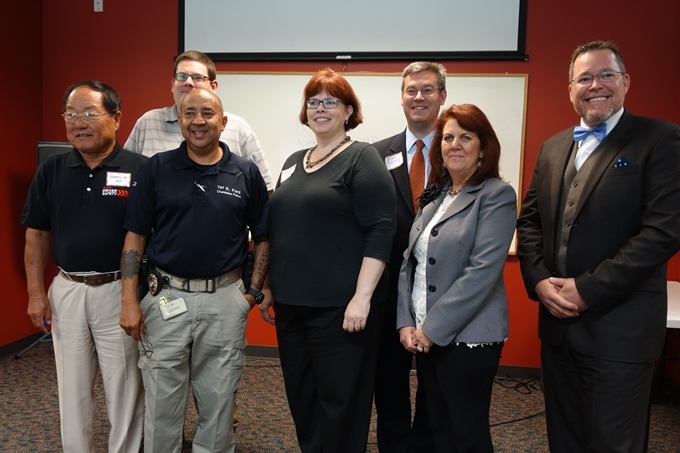 NAM invited the ethnic media to come learn what types of fraud are on the rise and empower their readers by spreading the word about what people can do to protect themselves. Sandy Close, NAM’s Executive Editor and Director, moderated, and Anthony (Oni) Advincula, Editor and Media Organizer, flew in from the NY office. Local panelists included Cindy A. Liebes, Regional Director, Southeast Regional Office, Federal Trade Commission (FTC); Jennifer Leach, Assistant Director, FTC Division of Consumer and Business Education; Brett R. Rinehart, Atlanta Field Office Dir, USCIS; Shawn Conroy, Georgia Governor’s Office of Consumer Protection; Captain Ernesto Ford, Chamblee Police Department; and Brian Quinlan, Investigator, also Chamblee PD. 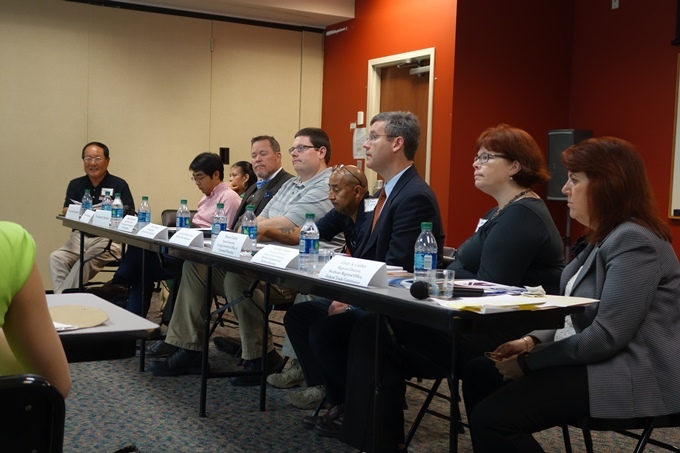 People are often too embarrassed or afraid to report fraud when they have been victimized by it, but several citizens/consumers were on hand who bravely told of their experiences. Members of the audience also contributed horror stories of examples in their communities. The panel talked about many consumer scams: examples are selling something to get into the house to “case the joint” for future robbery; selling fake health care, or fake services for immigration when those services are available for free; selling worthless products; selling fraudulent items like illegally discounted airfare; imposter and wire transfer frauds; scams for business opportunities, credit, debt collection, education, housing, jobs, mortgage refinance, romance, and of course, online scams, consumer privacy, identity theft (Georgia ranks #2 in ID theft complaints), and more. Most people know never to give your credit card or bank information to people who contact you with unsolicited offers, in person, on the phone, or by mail. However, many people slip up when the person contacting them seems friendly, when s/he is pressuring you to “buy now,” or especially when s/he is frightening you. It is always wise to bear in mind that s/he may be trying to trick you. Examples are false notification that you have received a grant or gift certificate and only need to pay a $1 processing fee on your credit card—beware! Popular scams lately have been "urgent" phone calls to say that “you will be arrested today” if you do not immediately pay a “fine for missing jury duty” or a “fine for a mistake on your taxes,” amounting to hundreds or thousands of dollars. Even knowledgeable consumers can become rattled when receiving such a call. The Gwinnett County Police Department received reports of these scams at an average of one a day recently. They warn that the callers can be very knowledgeable and convincing, even using the names of actual staff members at the department they are impersonating. Remember that such calls are always fake: No local, state, or federal law enforcement agency will contact people by phone to request payment over the phone. 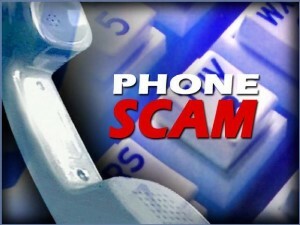 If you receive such a call, document the caller’s name and the originating phone number and file a report with police. Below are just some of the resources available for individual use or that you can make available at gatherings and events. The Federal Trade Commission works for consumers to prevent fraudulent, deceptive, and unfair business practices and to provide information to help spot, stop, and avoid them. Get information on their website, Facebook, Twitter, or press releases. The FTC provides links to print resources and videos that can be offered at workshops, community fairs, faith community gatherings, and other events in the community. You can order copies that will be sent to you for free. The FTC enters complaints into Consumer Sentinel, a secure, online database available to more than 2,000 civil and criminal law enforcement agencies in the U.S. and abroad. New America Media is the country's first and largest national collaboration and advocate of 3,000 ethnic news organizations. Over 57 million ethnic adults connect to each other, to home countries, and to America through 3000+ ethnic media outlets, the fastest growing sector of American journalism. 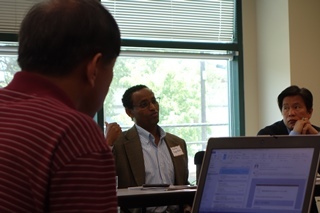 Founded by the nonprofit Pacific News Service in 1996, NAM is headquartered in California with offices in New York and Washington D.C., and partnerships with journalism schools to grow local associations of ethnic media. 1) "Dementia Puts Elders at Risk of Financial Abuse"
With over 5 million Alzheimer’s patients and rising, U.S. elders are increasingly vulnerable to scam or theft by those they trust. 2) "Fraud and Foreclosure: Financial Abuse Hits Boston Elders, Families"
Black and Latina elders in Boston--and their families--have faced lost dreams, financial ruin, and even homelessness due to home finance scams. 3) "For Boston’s Older Homeowners, It’s ‘Borrower Beware’"
Reverse mortgages, refinancing schemes have often put ethnic senior homeowners in Boston at risk. But new consumer protections promise help. Raj is the coordinator and founder of Silicon Valley De-Bug, a community organizing and multi-media youth organization based in San Jose, California. De-Bug produces a bi-lingual magazine, a weekly radio show and weekly television show to provide a platform for the South Bay's least heard voices -- low-wage workers, the homeless, the formerly incarcerated, undocumented immigrants, and other communities on the margins of the Valley. Before joining NAM in 2006 Viji was a general assignment reporter with India-West, a national weekly published in San Leandro, CA. While there, Viji won eight journalism awards, five from the South Asian Journalism Association and three from New California Media.